He is Chairman of 1834 Investments Limited, Jamaica National Building Society and a Board member of several other companies including Radio Jamaica Limited. Hon. Oliver Clarke was President of the Inter American Press Association (1997/1998) and the Private Sector Organisation of Jamaica (2002/2003). He was awarded two Honorary Degrees of Doctor of Laws in 2009 from the University of The West Indies and from the University of Technology and a third from the Northern Caribbean University in 2013. Early in 2006 he received the American Friends of Jamaica Humanitarian Award. In 2004 he was made a Caribbean Luminary of the American Foundation for the University of the West Indies for his work both in the Caribbean and internationally. In 1997, he was inducted into the Hall of Fame of the Private Sector Organisation of Jamaica (PSOJ) and in 1990 he received the Americas Award. 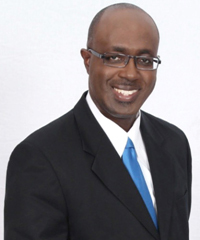 Oliver Clarke is a Chartered Accountant and a Justice of the Peace. 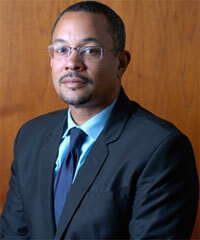 Mr. Allen is the Managing Director of the RJR Communications Group. He is a career journalist and Media Manager with experience in local, regional and international media. He has served RJR as a journalist and now in a management capacity for a combined 20 years. At the regional level he served the Caribbean Broadcasting Union, (CBU), the Caribbean News Agency, (CANA) and the Caribbean Media Corporation (CMC). At CMC he served up to the level of Chief Operating Officer. He is a graduate of the Caribbean Institute of Media and Communications (CARIMAC), and the Mona School of Business (MSB) at the UWI. He is a past chairman of the Media Association Jamaica Limited and is also past chairman of the Jamaica Debates Commission. He is Vice President of the CBU and Vice President of the Public Media Alliance (formerly the Commonwealth Broadcasters’ Association). 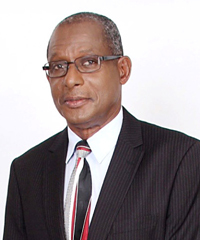 He serves as Chairman of Independent Radio Company and as a director on the subsidiary boards of TVJ, JNN and RETV. 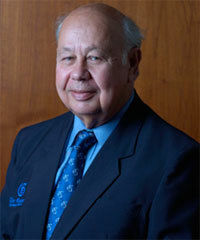 He is Chairman of the ICD Group Limited and its subsidiary British Caribbean Insurance Company Limited. He holds directorships on a number of other boards including Scotia Group Jamaica Limited, Radio Jamaica Limited, The Gleaner Company (Media) Limited, 1834 Investments Limited, West Indies Home Contractors Limited, CGM Gallagher Group Limited, and Matalon Homes Limited. He is also Chairman of the Board of Governors of Hillel Academy in Kingston Jamaica. 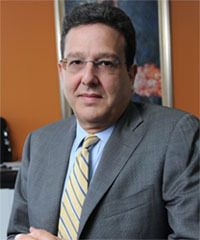 Mr. Matalon served as President of the Private Sector Organisation of Jamaica (PSOJ) between June 2009 and July 2012, and has also served as Chairman of the Development Bank of Jamaica since 2007. In 2010, Mr. Matalon was appointed by the Government of Jamaica to the Order of Distinction in the Rank of Commander (CD), in recognition of his contribution to the Public and Private Sectors, and to community service. She is the Corporate Affairs Manager at the Jamaica Producers Group Limited. She is a member of the boards of the Jamaica Exporters Association, Radio Jamaica Limited and 1834 Investments Limited. She is Honorary Consul of Costa Rica. She is also a member of the Jamaica Trade and Adjustment Team in the Ministry of Foreign Affairs and Foreign Trade. Mrs. Johnston was a former Galo Plaza Fellow at the Inter-American Dialogue in Washington D.C. He is the Chief Operating Officer of Radio Jamaica Limited, Chairman of Multimedia Jamaica Limited and Gleaner Online Limited, and director of other group subsidiaries TVJ, RETV, JNN and IRC. A trained mechanical engineer with a graduate degree in finance and international business from Boston University and McGill University respectively, Mr. Barnes also serves on external boards including Media Association Jamaica Limited, Caribbean News Agency, Caribbean Media Corporation, Inter American Press Association, JN Life Insurance Company Limited, Pan Jamaican Investment Trust Limited, and Ocho Rios Beach Limited. He is the Chairman of PALS Jamaica Limited and Vice President of the Private Sector Organization of Jamaica. Mrs. Jones is also a Board member of Radio Jamaica Limited and 1834 Investments Limited. 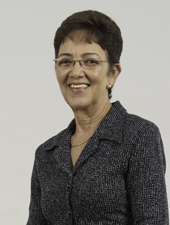 She is a retired Senior Partner, KPMG in Jamaica, former Head of the firm’s Tax practice and past Chairman of KPMG Caricom, a regional governance entity comprising KPMG member firms in Barbados, the Eastern Caribbean, Jamaica and Trinidad and Tobago. She has served on several tax reform committees and was seconded to the Ministry of Finance, between 1989 and 1992, as special advisor to the Minister. Ms. Jones also served as Chairman of the Trade Board and Fiscal Services Limited and on the Committee to Review and Eliminate Waste in the Public Sector. 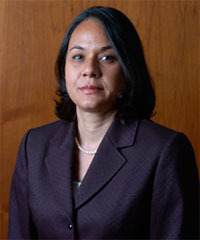 She has served on a Committee to review the Government of Jamaica’s Tax system, as a member of the Divestment Committee responsible for the divestment of Government-owned sugar factories, and as a member of the Tax Policy and Tax Administration Working Group under the Partnership for Transformation Project in Jamaica. Mr. Domville is also a director of Radio Jamaica Limited. He was the Chief Operating Officer and Group Treasurer of the Seprod Group of Companies (Retired October 2013). He also serves on the Board of Directors of Barita Investments Ltd., is a Trustee of the Superannuation Fund for Employees of Seprod Ltd. and Approved Organizations and a member of The Teachers Services Commission. Miss Molloy is also member of the board of the Radio Jamaica Limited. She is a two-time graduate of the University of the West Indies (Mona). She has teacher qualification from the Church Teachers’ College and also has additional graduate qualification from the Andrews University, Berrien Springs, Michigan. She is a librarian and recently became a school inspector with the National Education Inspectorate. 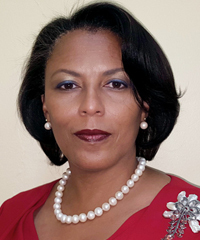 Having served on several public sector boards, she is currently a member of, the National Parenting Support Commission, and the National Council on Education, the Charities Appeal Tribunal and the Jamaica Publishing House Limited. She has given career-long service to the Jamaica Teachers’ Association where she also served as President. She is also a past president of the Jamaica Association of Principals of Secondary Schools (JAPSS). The former LASCO/MoE Principal of the Year has been a principal for sixteen years, first at the Buff Bay High School. More recently she qualified as a school inspector. She has been the principal of the Ardenne High School since 2012.